PDF Pattern #SS1830-01. Edward 1800-1830s Frilled Shirt and Pantaloons designed to fit standard 18-inch dolls such as American Girl®. Pattern features 24 pages of step-by-step instructions with photographs, including instructions on how to tie a necktie. Shirt - lightweight cotton, cotton voile / lawn, batiste. Needs to be really lightweight! Pantaloons - calico cotton, light or medium weight cotton, lightweight wool, linen. Stockings - plain lightweight medium stretch knit fabric or an old t-shirt. Not suitable for lycra as it is not historical. Not suitable for woven fabric. Suggested Skill Level - Intermediate. Listing is for one PDF Pattern only. Your 49 page PDF PATTERN will be available for an instant download once payment is confirmed. Look for the "download" link on your order page. No paper copy will be mailed. No returns on PDF patterns. Any photos of actual outfit are examples only – no outfits are included with this listing. The pattern is intended for personal use only. You are allowed to use it for small scale home business as long as you credit Swish & Swirl for the pattern design such as "Made using a Swish & Swirl Pattern". Mass production of items using this pattern is not allowed. This pattern is protected by copyright. You do not have permission to share it, resell it or give it to other people in any other form. Swish and Swirl, Pemberley Threads and Ann Van Doren Designs have collaborated to bring you historically accurate patterns to create a Regency gentleman’s wardrobe. Collect all of the patterns below to complete the look! PDF Knitting Pattern #SS2016-K23. Serena Cape for 18-inch dolls like American Girl®. PDF Knitting Pattern #SS2016-K08. Rainbow Top for 18-inch dolls like American Girl®, Florrie, Gotz. This pattern was a challenge, but the directions are clear and easy to follow. The finished garment is a great fit on the dolls. Great value. Very accurate patterns. PDF Pattern #SS2016-05. Samantha Turtleneck and Trousers for 16-inch A Girl for All Time dolls. PDF Knitting Pattern #SS2016-K15. Bella Bolero for 18-inch dolls such as American Girl®. I accept PayPal payments and payments by Visa cards. I want my customers to be happy with their purchase, so I have a 14 days return policy. Buyer will have to pay for return shipping and return the item in a perfect condition. No returns or cancellations on PDF patterns. I specialize in making PDF patterns. I do not usually sell finished items and do not accept custom orders. However, I occasionally put some outfits for sale after the release of a new pattern. 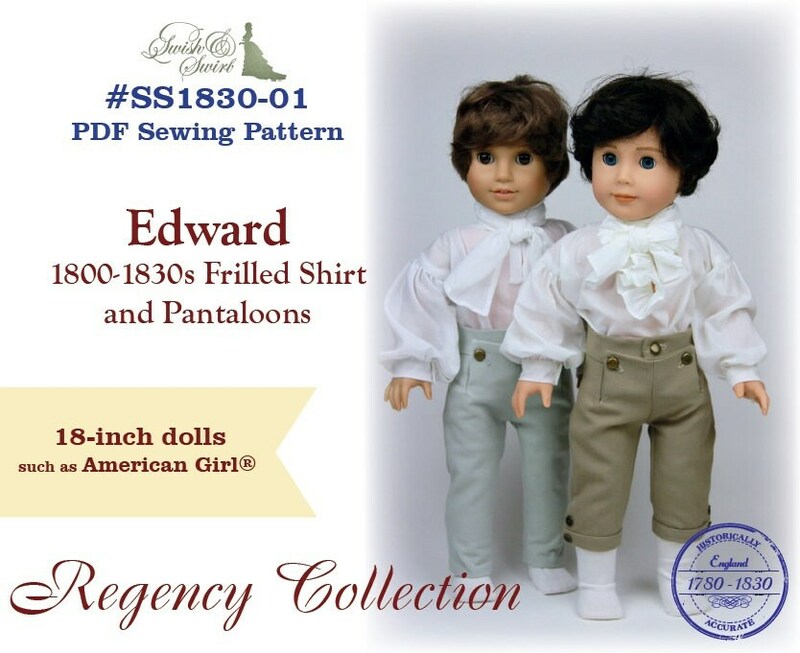 PDF Pattern Bundle #SS1560-03 & #SS1560-04. Lettice Knollys Elizabethan Gown, Partlet and Bonnet for 18-inch dolls such as American Girl®. PDF Pattern #SS1740-02. Georgiana 18th century undergarments for 18-inch dolls such as American Girl®. PDF Pattern #SS1530-04. Catherine Howard Tudor Gown for 18-inch dolls such as American Girl®. PDF Knitting Pattern #SS1940-K01. 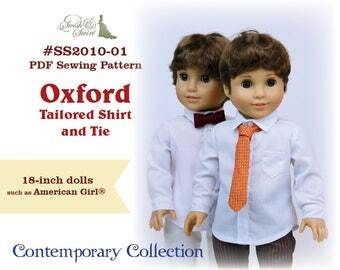 Cambridge Sweater Vest for 18-inch dolls like American Girl®, Florrie, Tonner My Imagination.